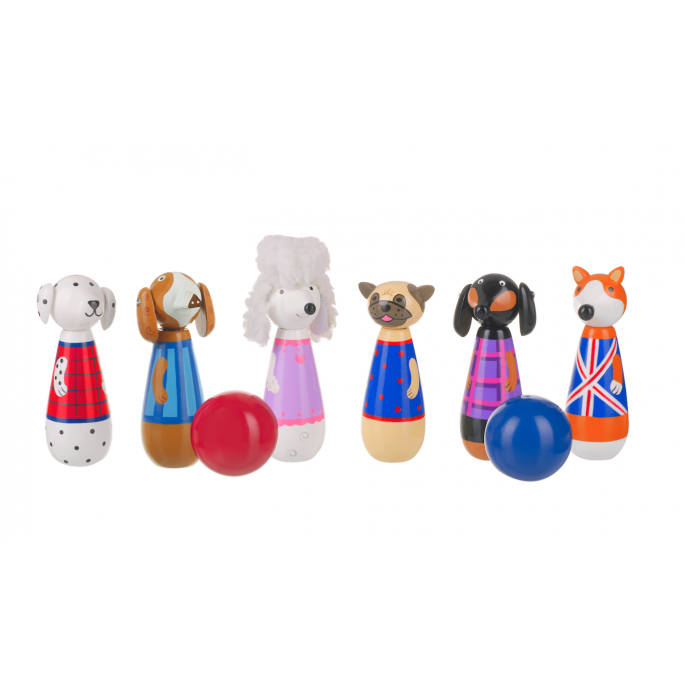 These adorable puppy skittles from our Puppy Collection are a perfect traditional wooden toy. Stand them up...and knock them down! 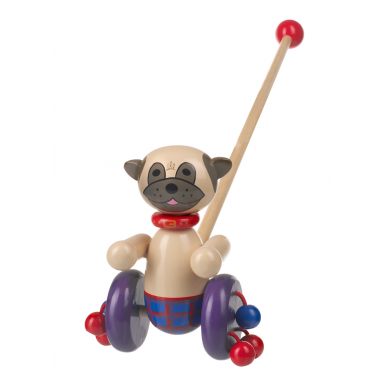 Containing favourite dog breeds like poodle and pug these skittles will give so much fun to little ones! 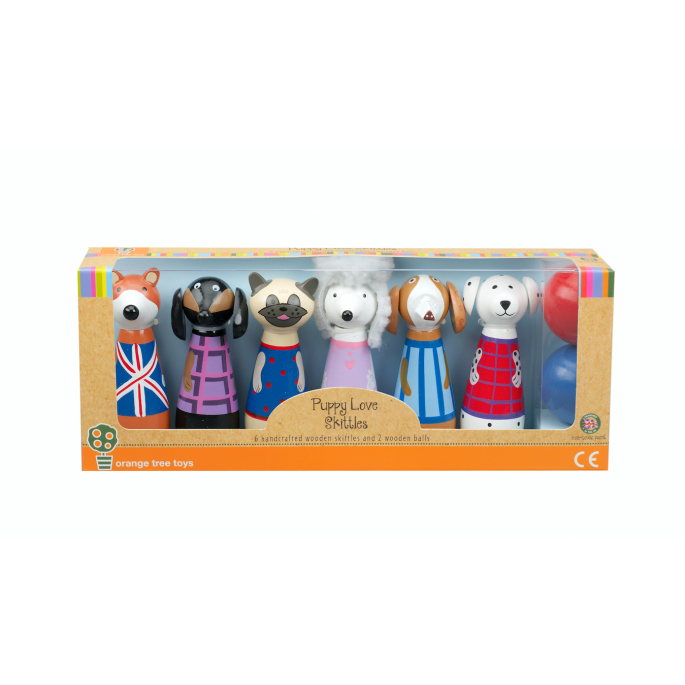 The set includes 6 adorable wooden dogs and 2 wooden balls.